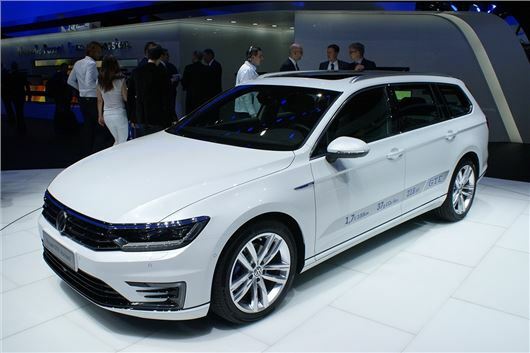 Volkswagen has launched the new Passat GTE Plug-in Hybrid at the Paris Motor Show. The hybrid will be based on the new Passat and return a claimed 141mpg, while emitting just 45g/km of CO2. Prices are expected to start at £32,000 (after the £5000 Government electric car grant) and order books will open in June 2015. 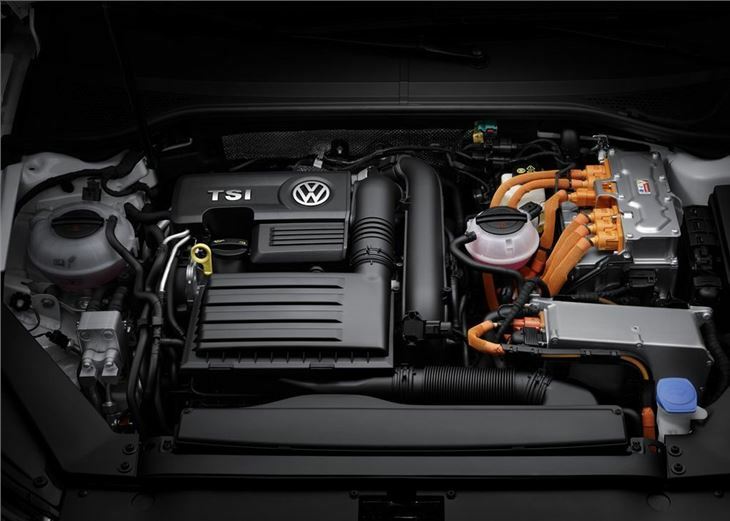 The Volkswagen Passat GTE combines a 1.4-litre petrol engine with an electric motor to produce 218PS and has a maximum range of 620 miles, with a full 50-litre fuel tank and fully charged battery – enough to drive from London to Paris and back without refuelling. The Passat shares the same hybrid powertrain as the Golf GTE and like the hatchback it will be capable of covering around 30 miles on electric power only, which means it will qualify for £5000 Government electric car grant. However, despite its clear eco credentials, the Passat GTE will have a sporty side - GTE driving mode - and pack 330Nm of torque. As a result, it'll be capable of covering 0-62mph in eight seconds before eventually reaching a top speed 136mph. In all-electric E-Mode, the Passat be limited to 80mph and drive will be delivered through an automatic six-speed DSG, with three clutches (dual clutch plus disengagement clutch) that has been specially developed for hybrid use. The lithium-ion battery can be replenished via a socket that’s located in the radiator grille and a full charge will take four hours from a standard plug, while an optional wall box will reduce this to two hours and 30 minutes. 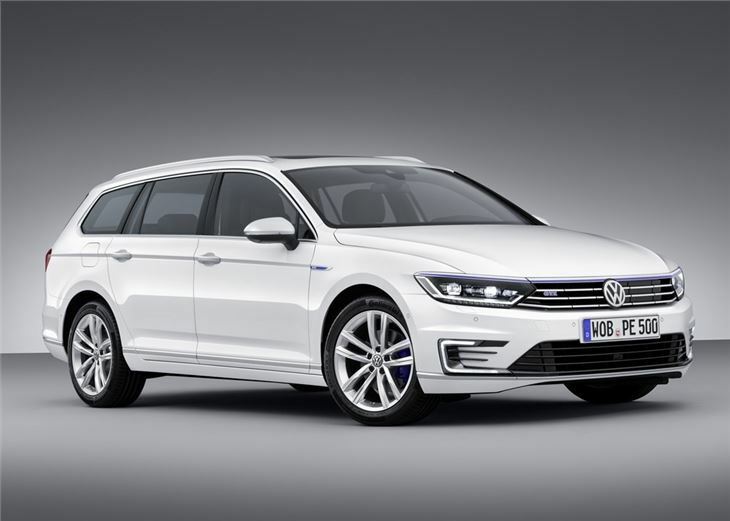 The Passat GTE also gets enhanced spec, compared to the standard model, with LED headlights, redesigned bumpers, 17-inch "Astana" alloy wheels and blue trim. The interior will feature a high resolution 6.5-inch screen, which will display the vehicle’s electric range, energy flow and zero-emission statistics. The Passat will also be offered with an optional virtual cockpit - as seen in the Audi TT - which will replace the traditional instrument cluster with a digital display. As a result, the driver can reposition the speedometer and tachometer to make more room for the map display. 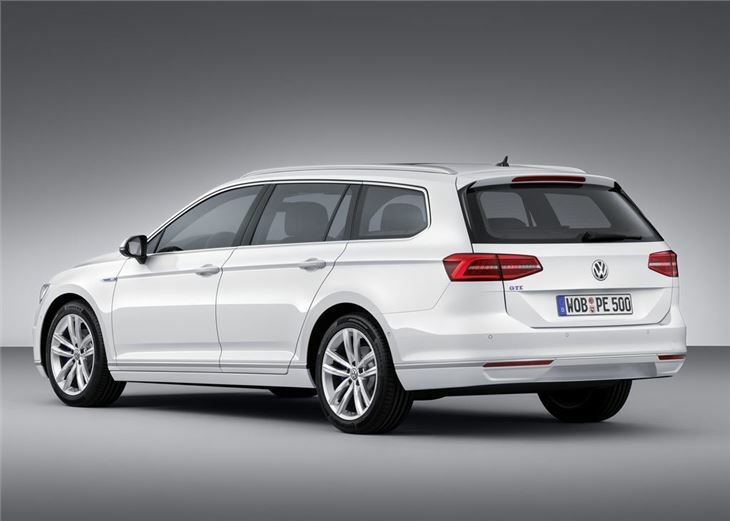 The new Passat GTE will also let the owner connect to the car via a smartphone app, which will let the owner check on the car's battery status, parking location and switch on the lights.